In today’s digital age, CFOs are an enigma. The current reality is most CFOs have yet to fully embrace how the evolving digital landscape impacts them. This is very clearly seen on LinkedIn where there are thousands upon thousands of people who use the term “CFO” in their title yet display almost nothing that highlights this “distinction” in their profile or in their LinkedIn communications. 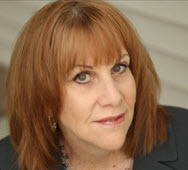 We would like to introduce you to Cindy Kraft, the CFO-Coach. Given her target audience, she was keenly aware of the challenges CFOs have with the digital age but she saw this challenge as a market opportunity. Her solution was as brilliant as it was simple. Create a LinkedIn group to provide insight to help CFOs and senior finance executives maximize their marketability and overall ability to compete in today’s digital age. Unfortunately, simply having a good idea doesn’t equal an immediate LinkedIn success story. Building up an effective LinkedIn group is not an easy task. Beyond setting up the group, some common problems include attracting your target audience and more importantly, keeping them engaged. Personalized Invitation - Currently if you use LinkedIn’s bulk invitation function, you can only send out a generic invitation. Depending on how strongly you’ve built your connections, the response rate could easily be less than 10%. For example, if you sent over 600 invitations (which, per LinkedIn’s structure, can’t be sent in groups larger than 50), less than 60 of your connections would join. The alternative is to focus on quality Vs quantity. Consider sending personal messages to those that you think would be good fits for your group. While this takes time, this can generate a much higher rate attracting members and increase their engagement from day one. Using Inmails – While this is a “paid” tactic, it allows you to refine targeting to find people who are the most valuable to your group. Again, the focus is on attracting quality group members. Remember... you don’t pay for Inmails for which you don’t receive a response. Inviting those that connect with you – As people connect with you, if they fit your target, respond to the invitation and suggest your group. In our experience, the acceptance rate using this tactic is very good. Email lists – Similar to the personal invite, utilize your email databases and invite your target audience to join your group. In Person – If you have the opportunity to speak in front of your target audience, invite them to join your group. In today’s audiences, many have devices with them that would enable them to join on the spot. It’s important to get the right people in your group, people who are not only your target audience, but who are going to be able to contribute effectively to your group. Often in the early stages of a group's development, the moderator is going to need to drive the group’s engagement. Develop a content calendar with the goal being to continuously provide value into the group. This can include curated content, thoughts, experiences, and observations. Using the old cliché that nothing attracts a crowd like a crowd, try to identify key group members that you can count on to contribute and interact within your group. Share (with them) the expectations for value that the group would is seeking. When sharing discussions, try to keep them open ended to attract more interaction. As others interact, be respectful of their views. How did Cindy address these hurdles? Cindy was razor sharp on her focus. The group is only for CFOs. You can’t simply join and automatically become part of the group. Actually, you need to pass the minimum requirement of currently holding the CFO title or having held the CFO title in the recent past and exhibit the value a typical CFO should have on LinkedIn. If your profile doesn’t exude that value, you won’t be admitted into this group. Her success on LinkedIn stems from the CFO group she has built, being built from the ground up. As with everything she does, this was & continues to be highly specific. She is perpetually sharing insights of value to CFOs on topics related to their career. Her group receives tremendous value from Cindy, and in turn, she has a completely filtered target audience with whom to communicate. She started the group more than three years ago and today, she is now clearly recognizable as the subject matter expert in this space. The group currently has a membership of over 1,750 members with a laser focus on her target audience. If you are not a CFO or senior finance executive, you are not in this group. When people search for a CFO coach, her name is the first one that pops up. Cindy successfully created a highly focused target audience, solidified her brand, generated revenue growth and built a business asset through her development of her LinkedIn group! The post began by asking one question. 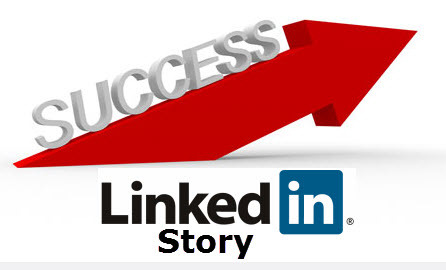 What if you knew the path someone took to create their LinkedIn success story, do you think you could replicate it? So, now that you've read this, what's your answer? Want to learn more about what it takes to create LinkedIn success stories? Click below for a free 30+ workbook.